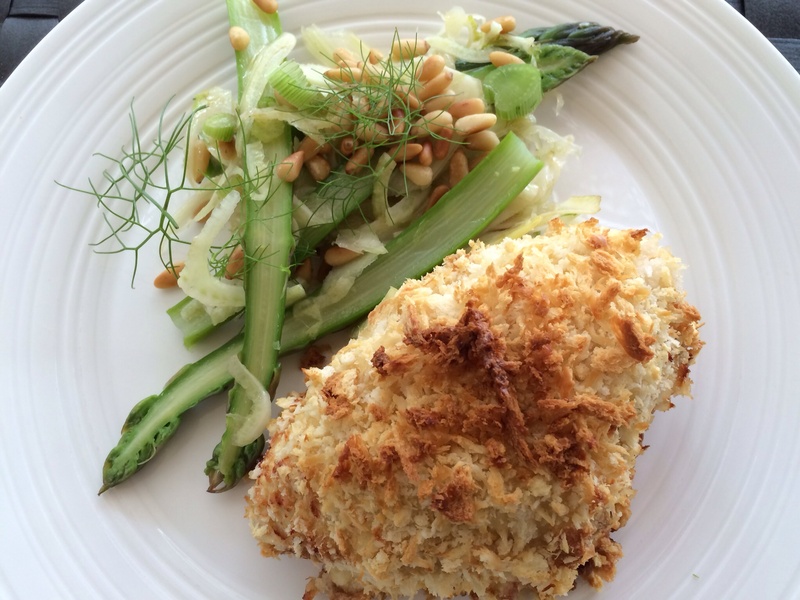 Delicious crunchy coated chicken breasts, flavoured with Parmesan breadcrumbs and served with a simple salad of fennel and English asparagus. 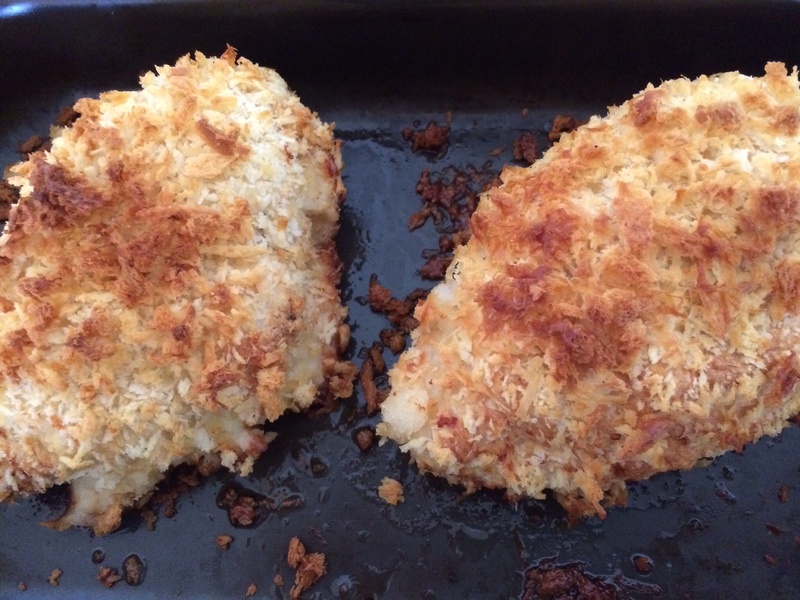 For 2 you will need – 2 chicken breasts (try and buy from your local butcher as they are always more delicious and succulent), 1 egg, a few tablespoons of flour, 40g of breadcrumbs (Panko if you can find them), salt and pepper, 2 oz of parmesan cheese. Put the oven on 200c. Get 3 bowls ready. In one put a few tablespoons of plain flour, seasoned with salt and pepper. In another bowl, one beaten egg. In another bowl, 40g white breadcrumbs and the finely grated Parmesan cheese (try and get Panko breadcrumbs if you can find them as they add a certain crunch!) 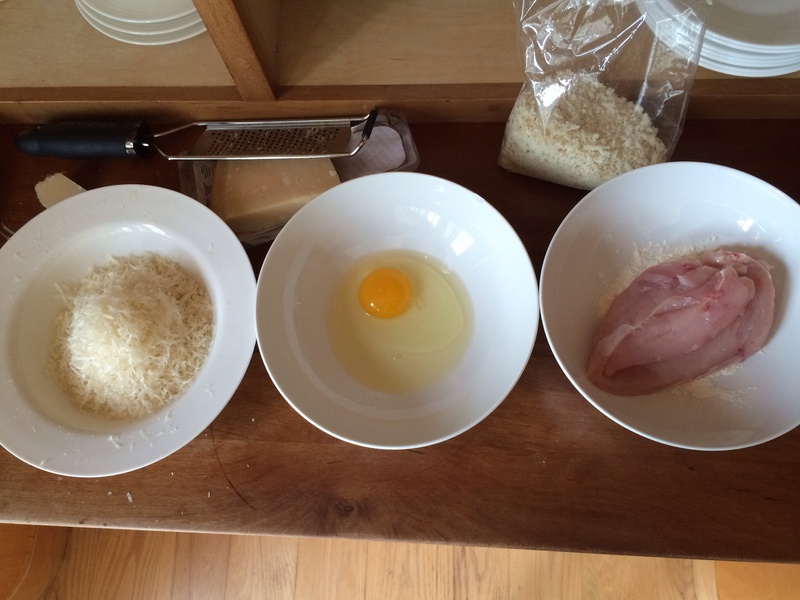 Remove the skin from the chicken breasts. One at a time place the chicken into the flour, coat on all sides. Then coat them in the egg mix and finally the breadcrumbs mix. Place them on a baking tray well drizzled with olive oil. Bake for 10 minutes at 200c and then turn the oven down to 180 and cook for a further 30 minutes. Serve with fennel and asparagus salad – delicious! All ingredients for this and the salad bought from my nearby farmshop Fullers. ← Fennel, asparagus and pinenut salad.